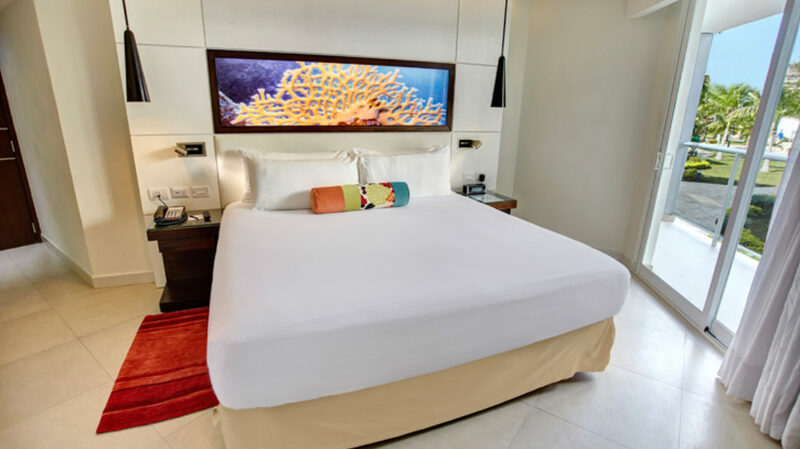 The all-inclusive Royalton White Sands resort in Montego Bay blends contemporary decor with the culture of its tropical surroundings. 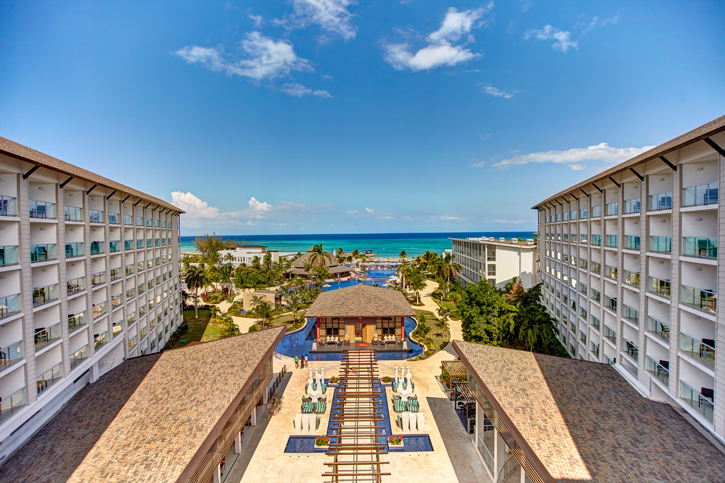 The resort offers top-tier customer service and the beautiful beaches overlooking White Bay make it a true destination wedding. Wedding guests of any age will have plenty to do, whether visiting the water park or having a bite at the authentic jerk hut. 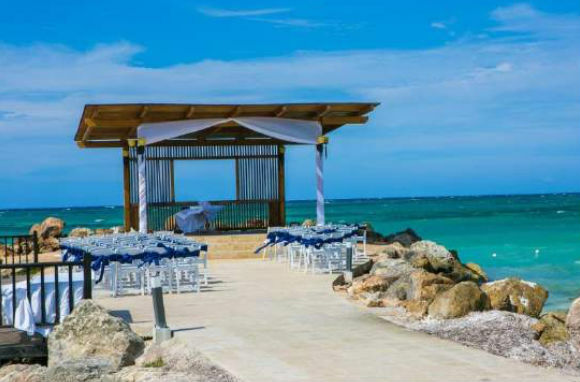 Located in a private area of Montego Bay, a Royalton White Sands wedding is perfect for couples who want their destination wedding and activities inclusive to one property. 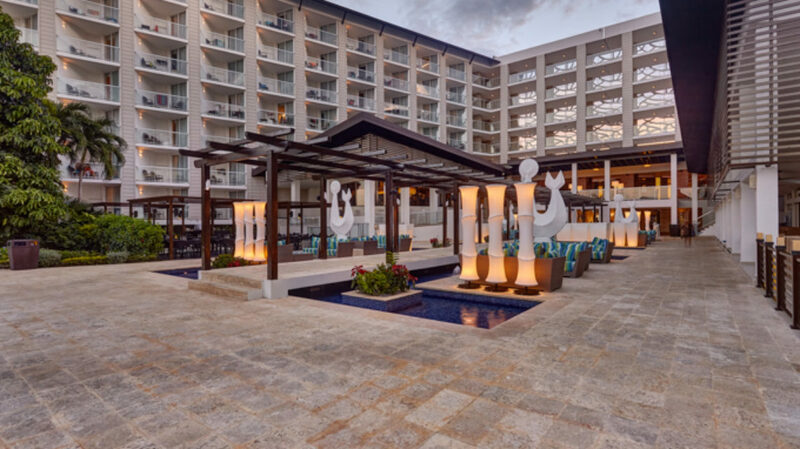 Family-oriented amenities, including a water park, make this a top choice for weddings with a number of younger guests and families. 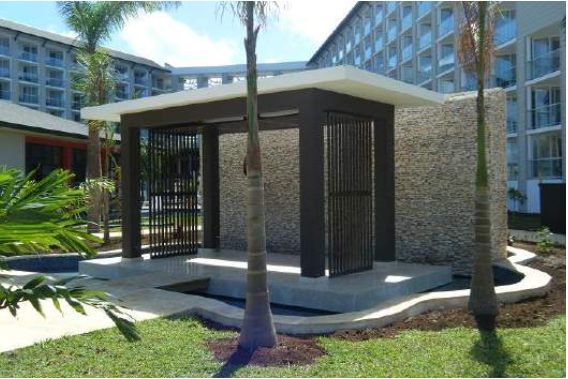 Beach access is only semi-secluded, and chainlink fences separate the hotel’s beach access from a public beach. The free package welcomes up to 10 guests based on a combination booking of 35 rooms and nights for your wedding group. Upgraded packages, additional guests, and add-ons are available for an additional cost. 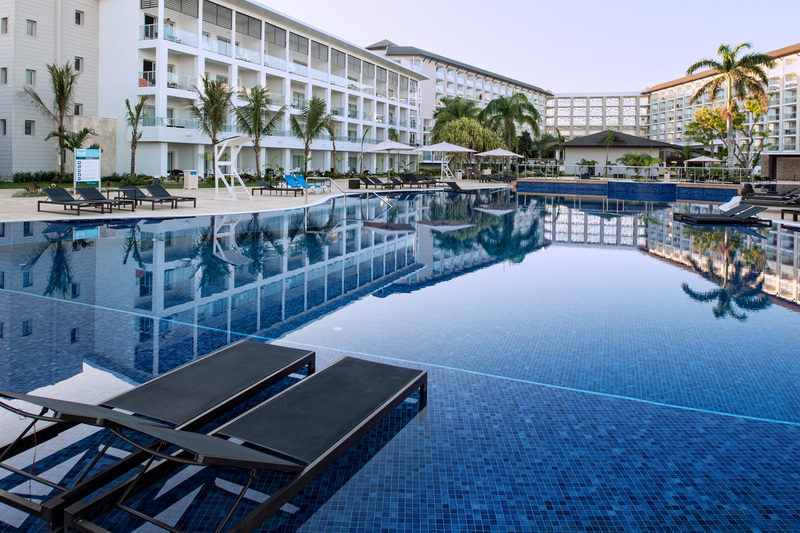 $165 – $275 average price per person per night. Rooms include rain showers and exclusively designed DreamBed brand mattresses. 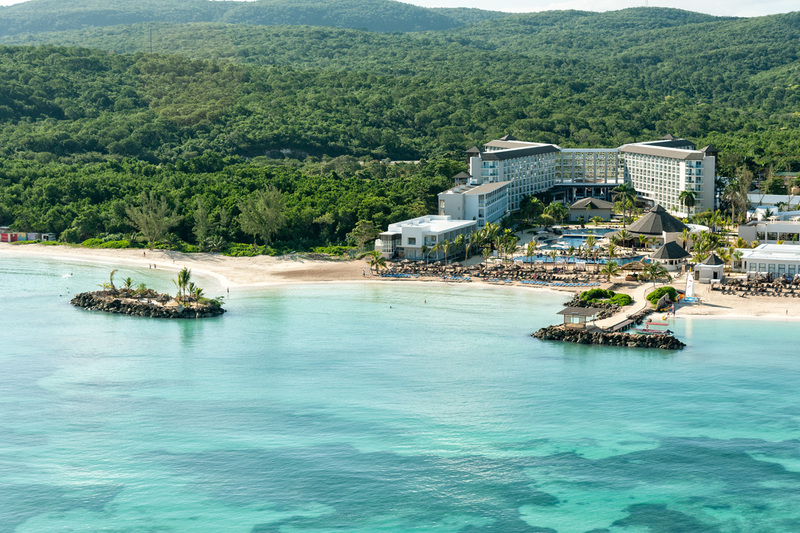 Diamond Club upgrade costs approximately $50 per person per night, which includes private beach access, the ability to make reservations at the onsite restaurants, and high-end liquor options. There are 352 luxury rooms with ocean, mountain or garden views. Rooms have minimal distance to wedding venues. On average 3 weddings occur per day; at 12pm, 3pm, and 6pm. The hotel can be flexible if different times are desired. Typically the wedding department is able to respond within 24 hours. During busy months, the wedding coordinators may take 1 – 2 days to respond. Located 23 miles away from the MBJ airport. A: Approximately 800 and counting. 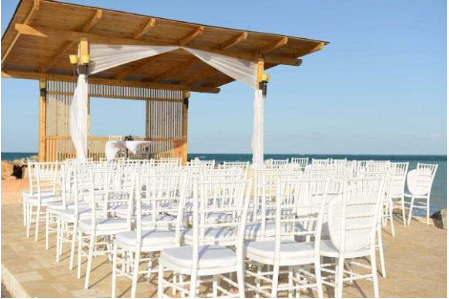 Q: What makes Royalton White Sands a great place for a destination wedding? A: It is an intimate hotel that is luxurious yet cozy at the same time! The staff are extremely friendly, the amenities are prestigious and the wedding locations are beautiful. A: Since it is one of smaller properties, rooms can sell out quite quickly. We also can host 3 weddings per day (depending on group size of course), therefore we highly suggest to book your preferred date, time and locations as soon as possible. A: Having all of your closest family and friends gather in tropical paradise to share your special moment with you, while your toes are in the sand and a cocktail in your hand! A: Unfortunately, one of our sister properties, Memories Grand Bahamas, had closed due to severe damages caused by Hurricane Matthew. A couple of the wedding groups were transferred over to us, including one that was being held within a 6 day turn-around time of being notified. Our team here were able to have all the rooming arrangements prepared and recreate all the wedding details the couple initially wanted with our partnered vendors within that timeframe. The couples’ were astonished at how fast we were able to pull all the details together, making their trip easy to relax and enjoyable with their close family and friends! That’s the ultimate goal we want to give to our clients. “I truly enjoyed my weekend getaway at this hotel.